We are pleased to announce Affinity Publisher build 257 is now available as a manual download from the link above and on auto-update. Due to a compiler update we now have a dependency on .NET 4.7.2. The installer has been updated to install this version of the framework. This means that the system requirements have changed slightly and we will no longer install on Windows 8.0 (!) 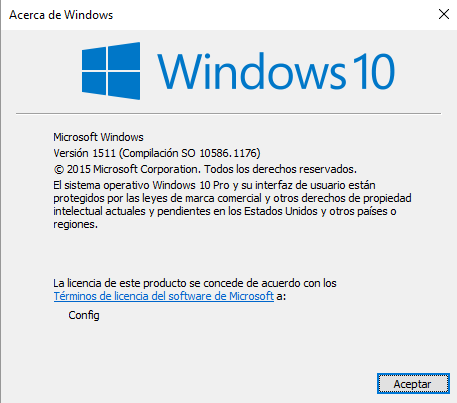 or early unpatched versions (< 1607) of Windows 10. So I can't install it on Win 8.1 any more? It is supported on 8.1 as far as I found on the web. Was that for this beta, or for 1.6? Beta. This is a beta thread. Thanks. My confusion was what you meant by "it" is supported. 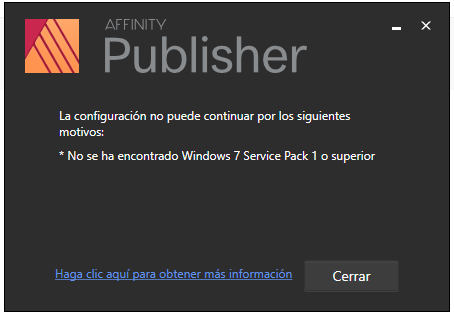 I though you meant Affinity, not .net 4.7.2. Yes, apologies. Win 8.1 should be fine. I've updated the notice for clarity. So the error message (new to this build) is insufficient in that it doesn't mention Windows 10, but the reason for the failure is that you cannot install Affinity Windows 1.7 software on your unpatched Windows 10. You need to install Windows updates before the software will install. This is a combination of 3 things. The latest installer has changed the system requirements, and the English installer says that "Your version of Windows does not meet system requirements "(and not the string you are seeing). The link at the bottom of that dialog points to the Windows Installer FAQ, which currently reflects the requirements purchased version (1.6.x) and when 1.7 is sold will be updated to mention the versions of Windows 10 that are additionally required. when attempting to update my beta to .2579 - i cant install. I just get the message "setup failed". update install failed. I've found a work around and possible issue. here is what I tried and it did not fix my issue. 1) Moved the installer to the same drive. next I tried to check the log files for the install - but the folder 'Publisher Public Beta' was inaccessible. Said I didnt have the right permissions - however I was in powershell as Admin and the folder's size was 0. I re-ran the install and changed the folder name for the installation to 'Publisher Public Beta 2' .. and it worked. This build has been superseded by Build 270 and this thread is now locked.